How does Diana stay bright in a darkening world? With the smashing success that has been Wonder Woman and the character making a return to superheroics in the upcoming Justice League, Gal Gadot taking up sword and shield again in a standalone sequel adventure seems all but inevitable. Though director Patty Jenkins has still not signed on for a sequel, she’s expressed interest in directing the second movie. Jenkins even has plans for a setting: “The story will take place in the U.S., which I think is right. She’s Wonder Woman. She’s got to come to America. It’s time.” Though unconfirmed, Jenkins has implied she’d like to make use of the almost 100-year gap between Wonder Woman and Batman v Superman. The director has also said that introducing the famed Invisible Jet is a necessity and she won’t stop trying to get the original Wonder Woman Lynda Carter from the 1970s TV series to make an appearance. What if Wonder Woman wasn't worthy of her power? 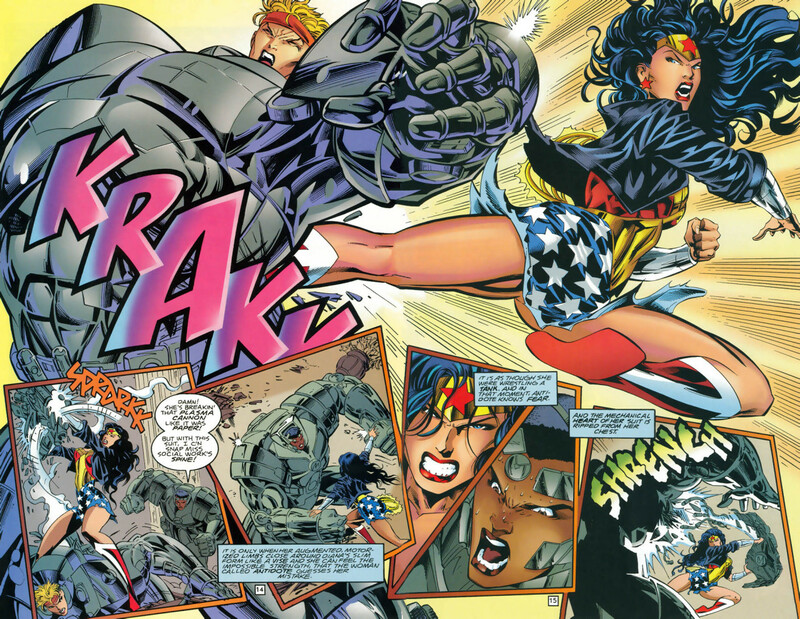 In Wonder Woman #85, 0, 90-100, written by William Messner-Loebs and drawn by Mike Deodato, Queen Hippolyta decides that Wonder Woman is no longer worthy of her role as champion of peace and love, and she creates a contest to crown the next Wonder Woman. Another Amazonian named Artemis wins and takes the mantle long enough to die in an epic battle fighting alongside Diana, who proves herself worthy once again. Though this would seriously mess with the continuity being set by the live-action movies (Spoiler: Diana is a god next to regular Amazonians), elements of this run are remarkably similar to what we get with the first Thor MCU movie, and the current run of The Unworthy Thor comics. Exploring the question “Who does a god become when they’re stripped of all that makes them special?” could be a compelling way to explore Diana role in the world of man, not as a godly protector but as a person. In 'Wonder Woman,' Diana learned how to be a god. What if in 'Wonder Woman 2' she learned how to be a human? In this 64-page graphic novel written by Paul Dini and painted art by Alex Ross, Wonder Woman fights something even more nefarious and difficult than demi-gods and supervillains: public opinion. After stopping a terrorist attack and attempting to combat civil war in the Middle East, Diana becomes more of a feared godly being than an honored hero. The arc is somewhat similar to the negative public opinion surrounding Superman going into Batman v Superman. 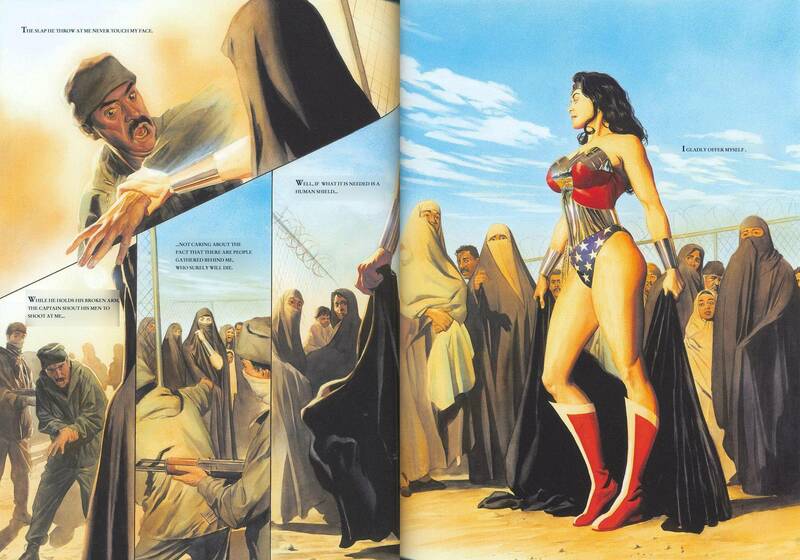 Wonder Woman has to condescend to experience the human condition and therefor relate to the people she’s protecting. In doing so, she becomes a better hero. The ultimate lesson — one that she partially learns from Superman himself — is the importance of working with humanity rather than above them. This particular Wonder Woman story would really only work if Wonder Woman 2 took place in contemporary times, and it would really resonate considering actor Gal Gadot herself is Israeli — Wonder Woman was banned in Lebanon for that very reason. 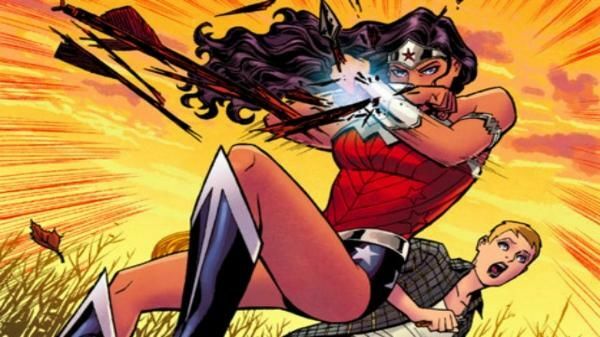 Could Diana best four powerful Amazon warriors? This four-issue Wonder Woman arc written by Gail Simone with art by Terry Dodson feels like a natural follow-up to the Wonder Woman film, though it has little to do with America. In it, a group of supervillains led by “Captain Nazi” (Hydra Cap?) invades Themyscira (then still called Paradise Island). 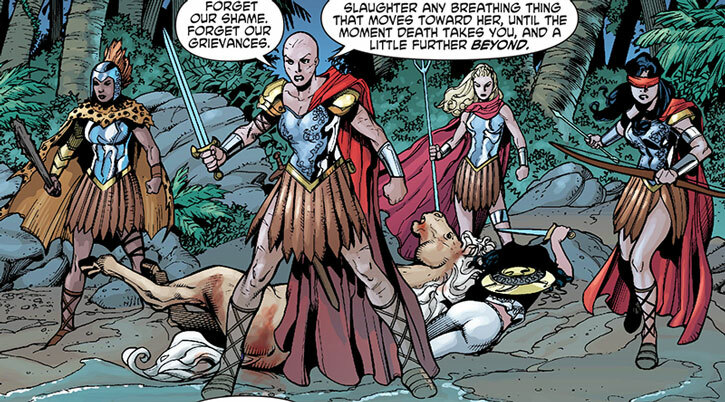 And as it turns out, four members of Hippolyta’s personal guard that had considered Diana an abomination and tried to kill her as a child break free from their imprisonment on the island and try again to destroy an adult Wonder Woman. To top it all off, she has to contend with a group of renegade, sentient white gorillas from Gorilla City. It’s doubtful that the live-action DC films will even dabble in telepathic Gorilla Grodd and his city of intelligent gorillas, but a Wonder Woman sequel set only a few decades after the first film could depict Diana fighting WWII-era Nazis and rogue Amazons? As great as it sounds, it might be too similar to the plot of the first film. Besides, supposedly Diana can’t go back to Themyscira. The definitive version of New 52 Diana — as written by Brian Azzarello and illustrated by Cliff Chiang — depicts Wonder Woman her reasserting her role as an enduring positive hero in the midst of an ever-darkening universe. Wonder Woman is tasked with protecting a woman named Zola who is pregnant with a child of Zeus while she also uncovers the truth behind her own birth. Whether or not the sequel to Wonder Woman takes place before or after Batman v Superman, the character’s success will hinge upon how she fits into the uber-dark realm that Zack Snyder has built with Man of Steel and BvS. Diana matured greatly by the end of her first solo film, but maintaining her character’s integrity moving forward will be the challenge. There’s no better source material for making that transition than Blood. Wonder Woman 2 remains unconfirmed.